"A show which is truly amazing, talented & moving! A universal message with not even one word!" "...The set, puppets, music and the pace of the plot enchanted me until I was moist with tears. 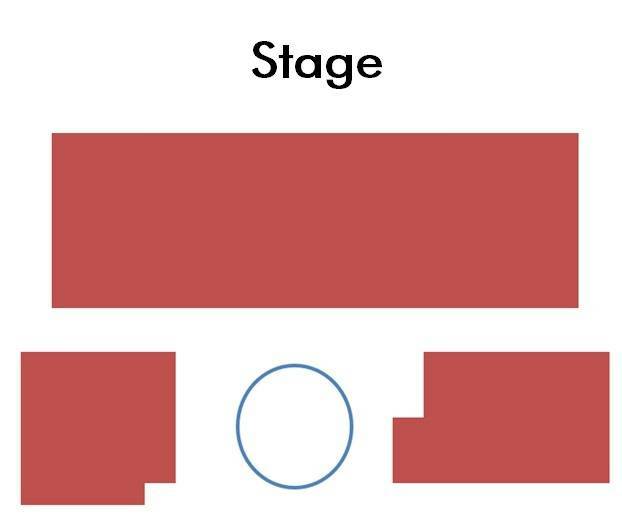 Rarely one can meet such a quality and special performance that succeeds in giving the right message while developing the spectator`s thinking, observation, sensitivity and curiosity." 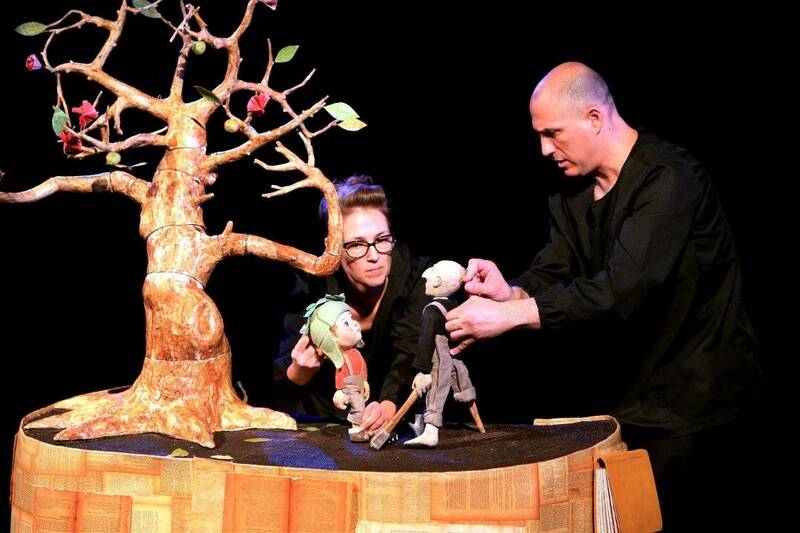 "...When All Was Green is a moving and wise play which proves that if there is a good story it can be displayed in every chosen manner (puppetry without words).The show deals with important issues that are represented in a remarkable theatrical wrap, that evokes thoughts and discussion, not only with the children but with ourselves." A puppetry play without words about mankind, nature and greed. 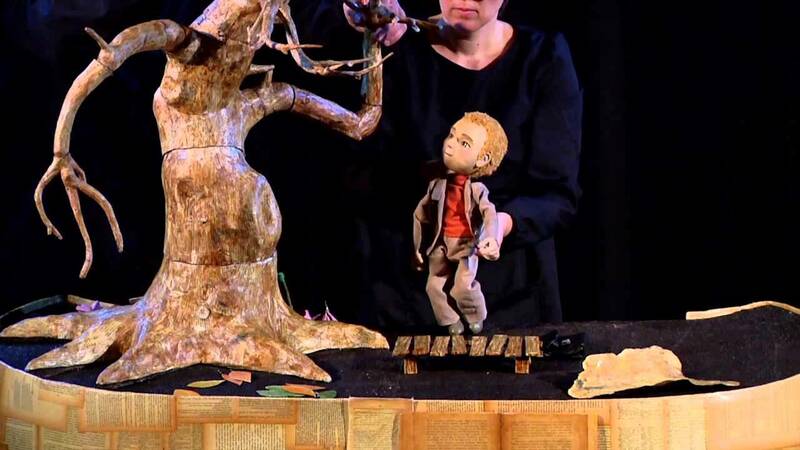 Through old books, recycled bindings and yellowing pages a story is told about a boy and a tree, about childhood and adolescence, about fields that are lost between grey concrete and about one green bud of hope. 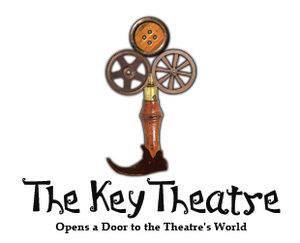 The Key Theatre was established in 1998, a collaboration between writer Dikla Katz and actor Avi Zlicha - graduates of Tel-Aviv University from the Film and TV and Theater departments respectively. As a theatre for young audiences (TYA) that travels in Israel and abroad, we seek to reach audiences from different cultures and backgrounds and strive to create performances which will be artistic as well as thought-provoking. 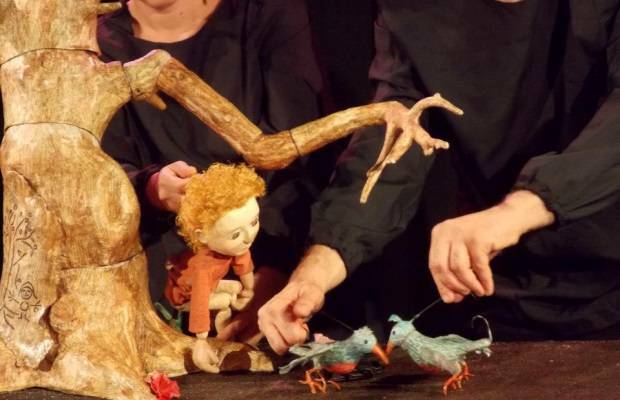 We seek to encourage curiosity and imagination and believe that by creating fantastic, non-realistic children`s theatre we can make a basis for acquaintance and a wide understating of the place we are living in. Our performances "When all Was Green" and "Baron Munchausen" won the theatre with International awards and toured in Vietnam, Kazakhstan,Turkey, Hungary, Senegal, Korea, Macedonia, Bulgaria, Armenia, Italy, Taiwan, Slovenia, Japan, Kosovo, Norway, Poland, Belarus, Slovakia, Thailand, Myanmar, India, Montenegro, Croatia, Romania, Singapore and Denmark. Throughout the years, the Key Theatre has collaborated on with the Israeli Chamber Orchestra, Tel-Aviv Museum of Art and Cultural institutions in Israel and abroad. It is a member of Assitej and Unima.